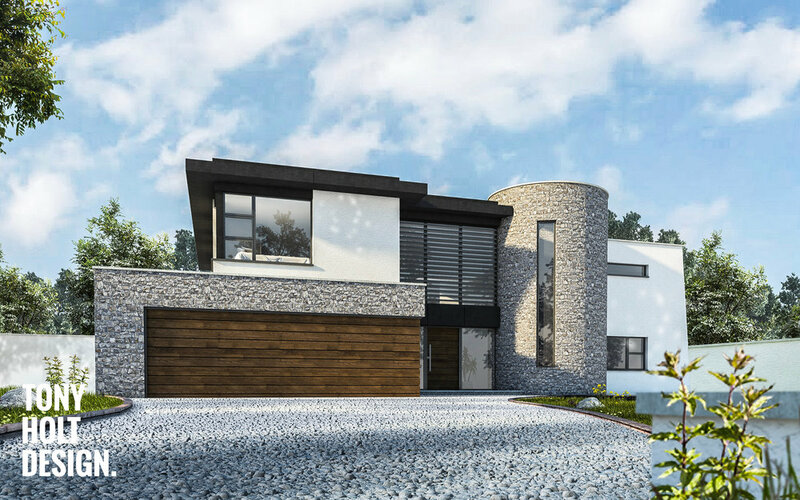 We recently pitched this concept to a self build Client for a site just outside Bideford, Devon. Many of our featured projects on our website are the end result of a design process we explore with Client's. This includes producing a range of possible design solutions and conceptual ideas. We focus on providing our Client's with fresh ideas which challenge their own in order to find the best possible solution using a collaborative approach. We liked this concept so much that we thought we would share it with you all.